OK, we need your help – or if you think you have no skills in this area we need your predictions. The eggs hatch, the chicks are chicks, and then they start turning into grown-up chickens. But at what point can you tell if they will be hen or cockerel? With this lot we have mixed hopes. Normally people want hens but we got the Speckled Sussex eggs as we want a cockerel and think this variety are friendly! 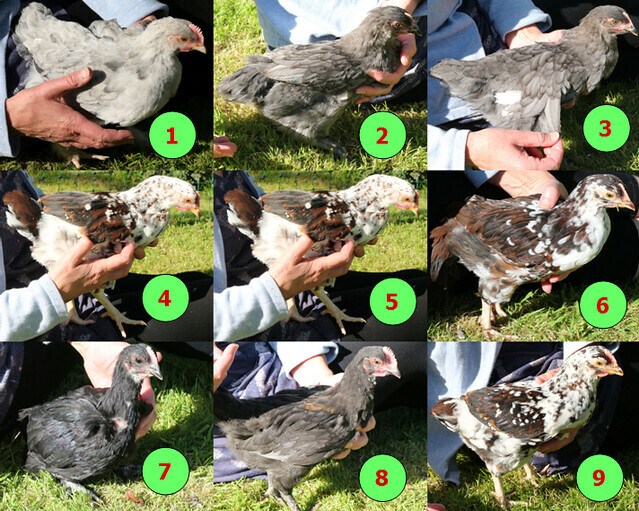 We also have French Morans and one Australorp.